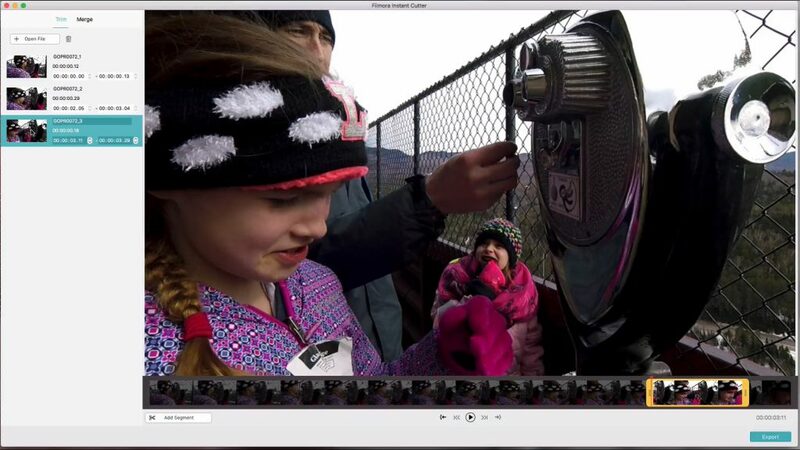 I’ve been playing around with the new Filmora 8.0 updates and let me tell you… this is some slick video editing software, especially for GoPro users! Filmora recently launched the 8.0 version of their video editor for Mac and PC and I partnered with Wondershare to show off the latest updates to their editor! Want to watch my FIlmora Review 2017 video directly on YouTube? 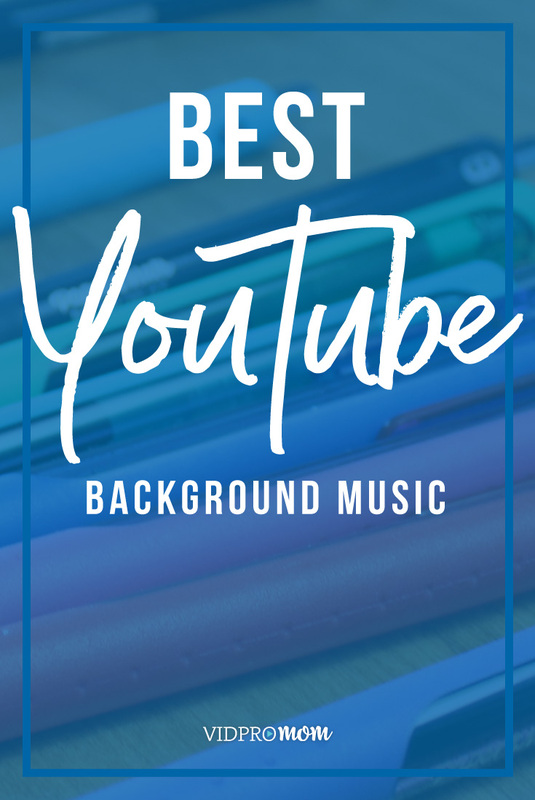 Click here to go straight there, or watch it below! 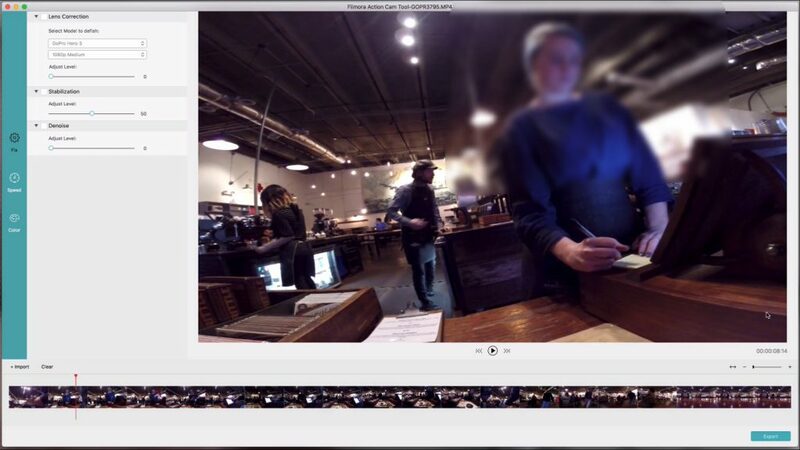 The two main improvements in Filmora are the addition of their Action Cam Tool and something called Instant Cutter. 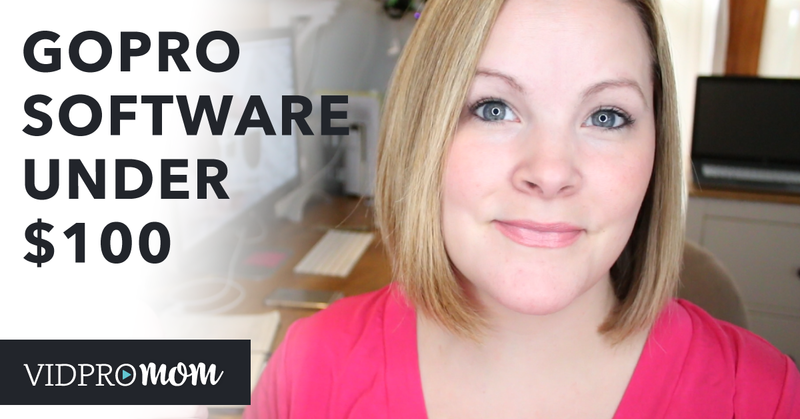 I partnered with Wondershare to bring with this honest review of the new features. So let’s take a look! 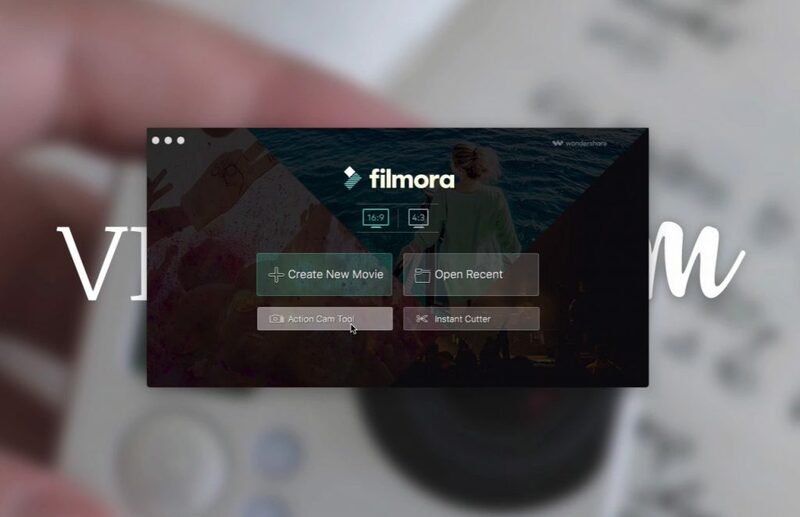 When you open up Filmora 8.0 you get the welcome screen that we’re used to, but the Action Cam Tool and Instant Cutter are new editions to this launch window. With the new Action Cam Tool, you can import your GoPro clips and adjust things like lens correction (to remove fisheye distortion), add stabilization, and there is even a denoise function. The ability to make lens corrections on GoPro footage is something that is often lacking from video editors, so I’m glad to see Filmora adopting these kinds of functions that are helpful to GoPro users, and I especially love the speed adjustment tools in the new Action Cam Tool as well. I tried the denoise function, but it didn’t work well for me. Maybe it would work well for other types of footage. The Instant Cutter feature is really fast and easy. It reminds me of GoPro Studio where you can select different segments of clips to export just those sections. I love video editing and love working in the timeline, but I am also intrigued by the idea of taking a bunch of clips, and making super fast cuts and merging them together like you can do in the Instant Cutter. Well done Wondershare! Filmora is, like I said, available for Mac and PC and you can purchase it for about $60 on their website. If you’re totally new to Filmora and you want to learn more about the basics of editing GoPro videos with it, be sure to check out my Getting Started tutorial here as well. 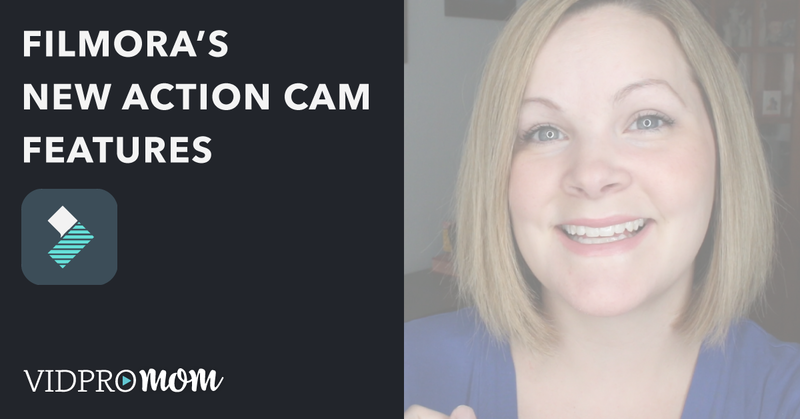 If you want to see more Filmora tutorials from me, let me know by leaving a comment below! 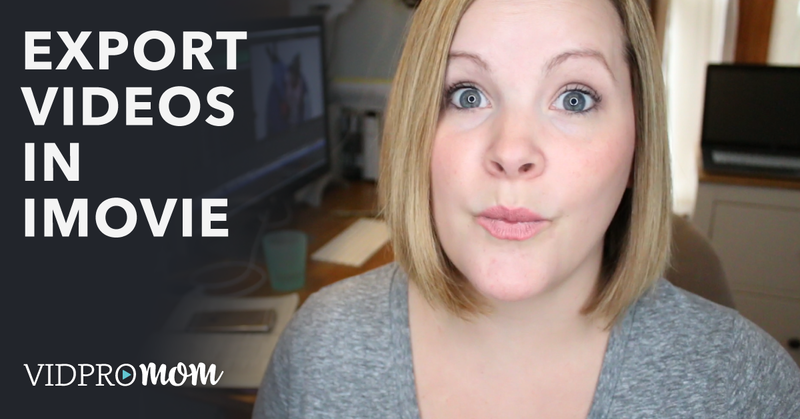 And don’t forget to subscribe to the VidProMom YouTube channel so you can hear from me again in the future. I was compensated by Wondershare to publish a review of their software, and the software was provided to me. This is my honest feedback on Filmora for editing GoPro videos. Hi, Meredith. I would like to see more Filmora tutorials from you. Can you email them to me, please? Owo excellent article for filmora8 , i really enjoyed your blog content. and you’re writing a good point for Filmora 8 version. Nice post. Filmora is really good. I just don’t like big watermark in Free version.